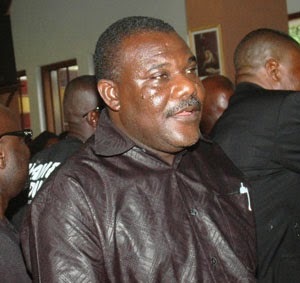 Veteran Ghanaian actor Rev Eddie Coffie has been elected new president of Ghana Actors Guild, (GAG), the umbrella body for Ghanaian actors. He takes over from Nii Odoi Mensah who had been the guild’s president for several years. Rev Coffie used to be the vice president of the Guild during the tenure of Odoi Mensah. Veteran actress Vivian Achor, a popular face in the movie industry, was also elected the vice president of the Guild. During Nii Odoi’s tenure of office, one of his major problems was getting current hot face actors to be involved in the activities of the Guild. He has complained several times that majority of such actors are not members in good standing. Not every one of them is a member. The few who are members too don’t pay their dues. NEWS-ONE is yet to confirm the number of the current big name actors in the industry who were at the congress. There is however no doubt that the new president’s major task will be uniting Ghanaian actors into a strong voice in Ghana’s creative industry.